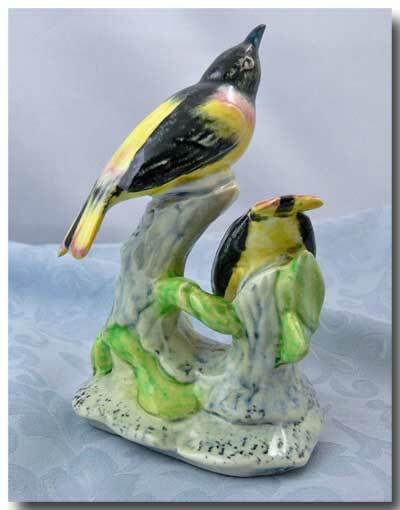 A Stangl hand-painted Blackbird figurine. 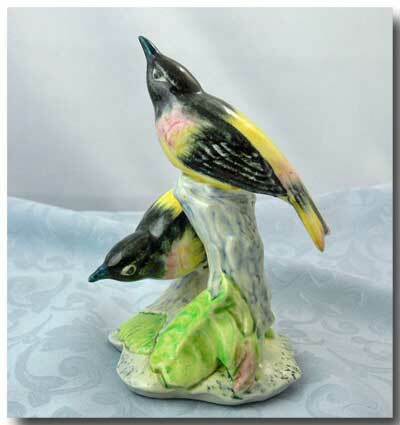 Colors are pink, yellow, blue and green and finished with a clear glaze. 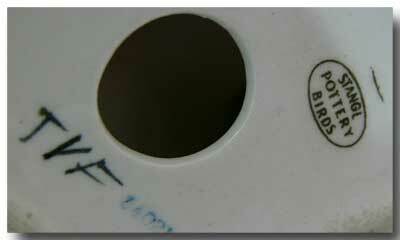 Signed TVF and marked with the Stangl pottery mark. Please see photo. The Stangl company was active from the 1930's through the 1970's in Flemington, New Jersey. Approx. 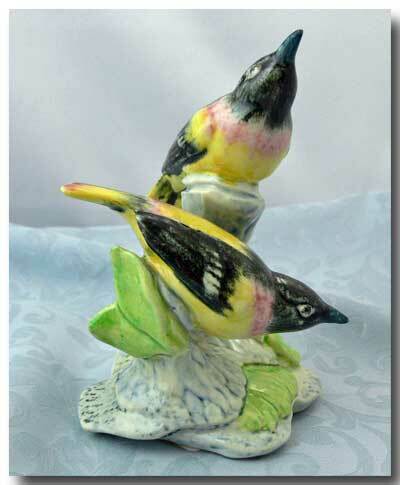 size: 6 ¼ inches H. x 4 inches W.
The item is in great condition with no chips, cracks or crazing.